Wednesday 29th November 1916: Staff numbers at Woburn Abbey are now so low that there are no longer sufficient to help with stretcher work when contingents of wounded arrive for the Woburn Abbey Hospital and Woburn Hospital. A number of local volunteers have been practicing stretcher drill in order to help. Mixed news has been received of a number of Woburn soldiers. Private H. Burgess of the 106th Field Ambulance has been in France for about five months and is now working at a hospital after taking a “lively turn” in the trenches. Lance-Corporal E. Pratt, a former employee at the Woburn timber yard whose parents live at Husborne Crawley, has returned to the Front after being wounded for the second time. He was able to give details to Mr. and Mrs. Arthur Phillips of the death in action of their son, Sergeant Arthur William Phillips. Bad news has also been received by the parents of Private William Coleman of the Bedford Regiment, who has died of wounds. He trained at the Ampthill camp and had not been at the front long. 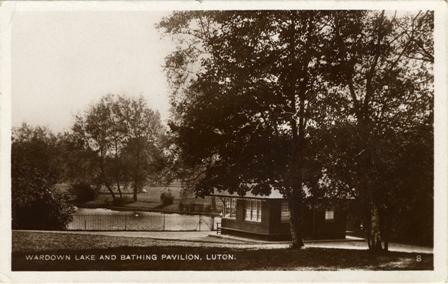 Monday 27th November 1916: An inquest has been held at Luton Court House into the death of Sarah Jane (“Annie”) Smith, aged 18, from Wood Ditton near Newmarket in Suffolk, who was found at Wardown Lake on Friday morning. Park keeper Alfred Lawrence told the court that his attention was drawn to a girl's body at about 10.45am; it was face downwards in four feet of water, not far from the footpath. He had recovered the body and sent for the police. There were no marks on the deceased and the symptoms all pointed to death by drowning. Miss Smith had been working as a domestic servant for Mrs. Gale of Avondale Road, Luton, for seven weeks, when she died. 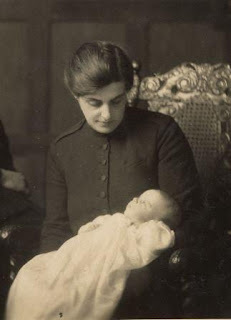 Mrs. Gale had found her “industrious and satisfactory in every way” but said the girl sometimes seemed depressed and worried about outside matters, and never spoke except to say “Yes” or “No”. On Friday morning she had sent her out for some tomatoes and saw her go towards the shop at about 8am; this was the last time she saw Miss Smith. When the girl did not return for breakfast, her husband reported the matter to the police. 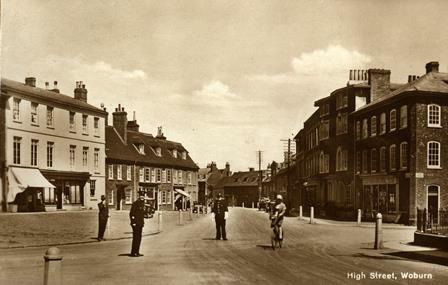 Private Walter Strogger of the Royal Field Artillery, who was based at Biscot Camp, gave evidence that he had kept company with Miss Smith for three months, and the previous weekend she had stayed with his parents near Ipswich. He was with her on the night before her death when she seemed the same as usual, and did not seem worried that he was expecting orders to leave for the front. He had arranged to see her on the next Sunday. A number of letters and a postcard were found in the girl’s room. They included the following note to Private Strogger, which was never posted: “Dear Walter, many thanks for Thursday night’s walk. I enjoyed myself, but was rather downhearted. Crying finished it when I was alone. Good-bye till Sunday. From downhearted A. Smith.” Her mother, Mrs. Jane Elizabeth Smith, identified her daughter’s body. She said her daughter wanted to get married, but that she had advised her to wait a bit. An older daughter who lived at home had been sending her sister letters saying she wished she would get married so that she could come and live with her. The jury returned of verdict of “Suicide whilst temporarily insane”. Once upon a time there was a little boy at Bedford School whose name was Tommy. I am sorry to say that Tommy was a very naughty little boy. One of the naughty things he used to do was to write his lessons like a fly that had been nearly drowned in the ink. So his master made him buy a copybook, and made him draw pothooks, although he was a Senior Mon. And Tommy did SO wish he had not been such a naughty boy at school. Auctioneer at the Red Cross Sale. Also pictured; top left, the V.C. Cockerel, bottom left, Mr. Walter Harter - the chairman of the committee, bottom right, Lady Ampthill and friend. Saturday 25th November 1916 The second annual Bedford Farmer’s Red Cross Sale was held in the Harper Trust Elementary School Grounds. As with last year the event was rousing success, with proceeds far exceeding the £1,050 raised in 1915. With donations and sales the total came to £1,366 with more donations expected. Lady Ampthill was invited to open the sale for the second year in a row. She stated that it was a great honour, and in her speech addressed that Bedfordshire has always been among the most impressive of counties contributing to the British Farmer’s Fund. She stressed that the people of Bedfordshire were doing their share for the glory of their sons. Those left behind must do all they can to help their men at the front. Along with livestock and other various items, a few special items were sold. The honour of presenting Lady Ampthill with a bouquet of red and white carnations sold for £15 15s. Her ladyship then stood in a trough and proceeded to sell off the bouquet bloom by bloom, ultimately raising £84. Other items included a bottle of ale brewed at Buxton in 1902 by King Edward VII, sign posts taken from German trenches and the V.C. Cockerel. This completely tame bird has been taken to forty sales and has been sold and returned over 2,000 times, adding approximately £2,400 to war funds. The repeated sales of the Cockerel at this event raised £29 13s for the British Farmer's Red Cross Fund. Friday 24th November: Details of an inquest into the tragic deaths of Rifleman G. F. Harrison and Rifleman W. A. Good are published. Both men died during a demonstration on bombs to a class of 15 men. Harrison was the tutor and had lectured before on the subject. For the demonstration he had 5 or 6 bombs on the table and 2 rifle grenades. 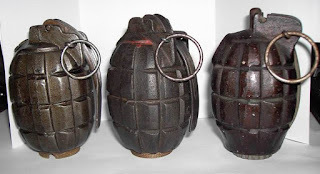 After speaking about the Mills bomb, Harrison put questions to the class and then picked up a rifle grenade and took it to pieces, explaining its different parts. He then put it together again. On stripping it again, he gave a practical demonstration of the grenade’s direction of travel. Witnesses were unsure what happened next and what exactly caused the grenade to detonate, but testified that Harrison believed the bombs were not charged. 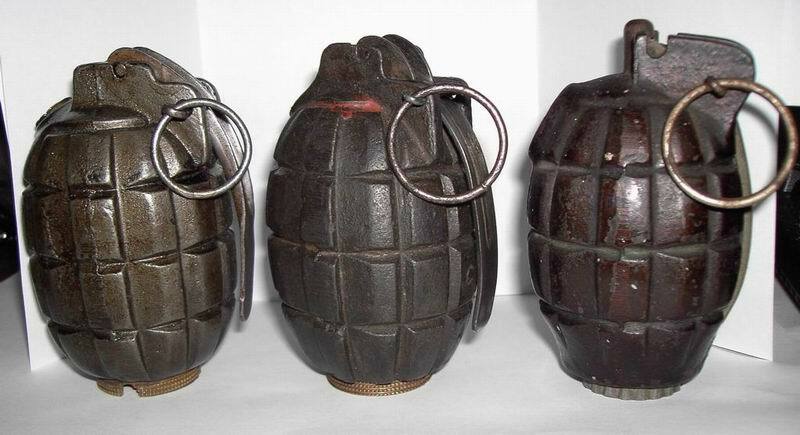 Most men managed to flee when the grenade went off. However, Good died instantly and Harrison ten minutes after a doctor arrived on the scene. The Coroner ruled that this was a tragic accident and that the injured soldiers still recovering were not going to be able to add much to existing testimony. It was recommended that future lectures be given with dummy bombs. At the inquest, Major Lupton expressed on behalf of Colonel Hepworth and the officers of the Battalion their deepest regret at the unfortunate accident and extended their sympathy to the bereaved relatives. Thursday 23rd November 1916: A young man has been sentenced at the Luton Borough Sessions to one month’s imprisonment for giving a silvered farthing to a newsboy in exchange for a newspaper and five pence change. 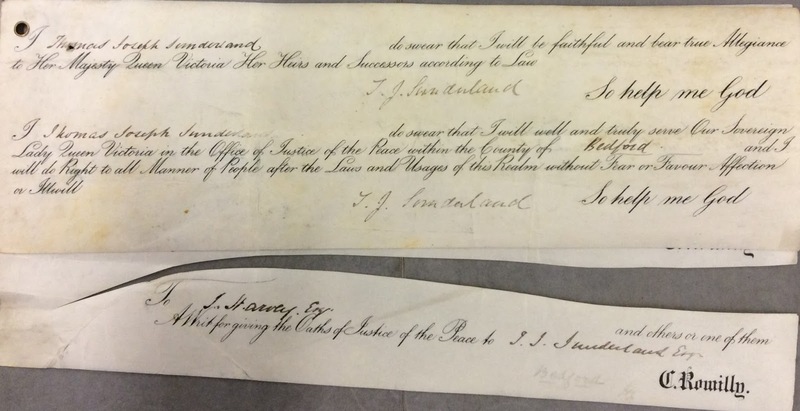 A girl employed at the Vauxhall works gave evidence that she and other girls there had silvered coins at the works for people to wear on their watch chains. She had not known that it was wrong to do so. The Magistrates’ Clerk told the court that to silver coins was a criminal offence, and anyone using one was liable to twelve months imprisonment. The foreman of the department concerned has now left the works. 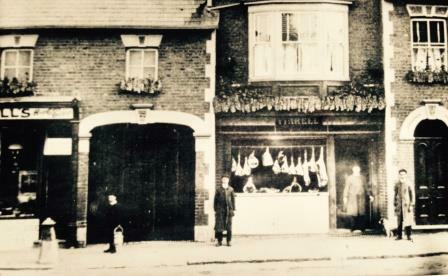 Tuesday 21st November 1916: The military authorities are concerned that too many butchers have succeeded in obtaining exemption from military service for their men and have suggested that Leighton Buzzard’s butchers should share slaughtermen. The Leighton Buzzard tribunal feels that the number for whom exemption has been requested could easily kill two or three times the number of cattle and sheep consumed in the area. At its most recent sitting the tribunal gave temporary exemption to just two slaughtermen employed by firms in Hockliffe Street, and warned local businesses that they must come to mutual arrangements to share employees. On hearing this news one of the employers said it would be a “rum business” and would never work. Most butchers are already shorthanded and can reasonably claim that they have already supplied a full quota of men for the Army. Much of their work beside slaughtering can only be done by men of sound physique, most of whom are of military age. However, it would certainly be preferable for them to work out their own arrangements rather than have too many requests for exemption refused and be forced to close or depend on meat supplies bought already dead. Thursday 16th November: Through the generosity of the William Harpur Lodge, between 60 and 70 wounded soldiers were entertained at St Mary’s Schoolroom, Bedford. The special guests arrived shortly after 2pm in cars lent by Messrs Crawley and Sons and in motor ambulances for the wounded stationed at Howbury. There were 30 men and 3 nurses from Howbury, 10 from Ampthill Road Hospital and 26 from the Barracks. The tea and entertainment were carried out by members of the Lodge Committee whilst wives of members of the Order assisted at the tea. The afternoon consisted of a singing competition and the prize a wrist watch. Cigarettes and chocolates were served out to the men. At 4.30pm, everyone sat down to a high tea, the menu including ham, tongue, roast chicken and roast beef. The flowers were contributed by the villagers of Haynes. During the evening, the men were treated to first-class musical entertainment by various artists. The event finished at 7pm and the men were sent on their way with soup and wished a speedy recovery. Wednesday 15th November 1916: A meeting of the Territorial Comforts Fund at Bedford yesterday heard that the Luton News and Saturday Telegraph have been raising funds to supply Christmas puddings for the troops. 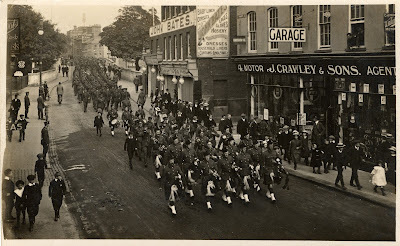 They expect to be able to provide at least £250, and are intending to provide puddings not just for the Bedfordshire Yeomanry and the Territorial units, but for the all the Bedfordshire Battalions on active service. The Lord Lieutenant said he was gratified that Luton was doing so well. 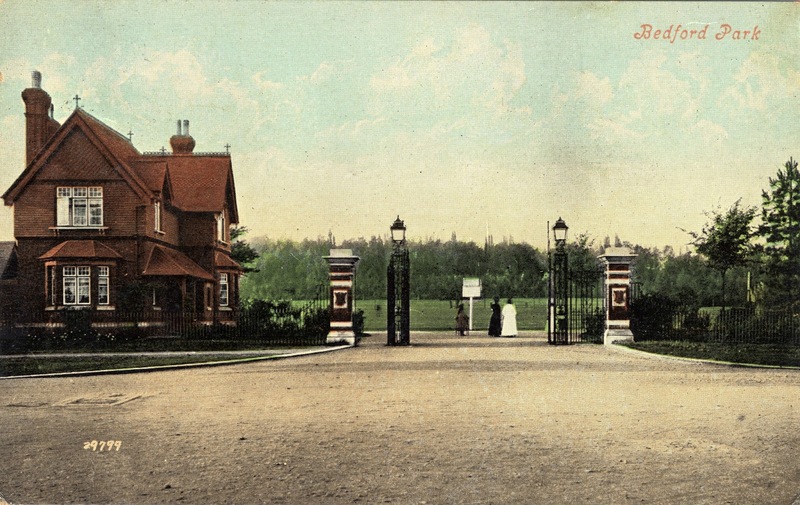 Monday 13th November 1916: The gardener at Mile Bush, Linslade was surprised to discover a baby boy, aged around three to four weeks, abandoned in the shrubbery adjoining the drive to the house. The baby, which was in good health and well fed, was lying in a cream coloured plait Japanese dress basket. He was dressed in a flannel binder, a woollen vest, a long white flannelette petticoat, two gowns (one cotton and one flannelette), woollen boots and cap, and a nearly new cream woollen shawl. He was also wrapped in a lady’s cream serge jacket, and had a feeding bottle with rubber and glass tube at his side. Police Inspector Walker of Linslade is making enquiries, and is believed to be looking for a man and a woman. The man is aged about 60, five feet four or five inches tall, with grey hair and whiskers, a clipped beard and of sturdy build, wearing a dark overcoat and trousers and a bowler hat; he leans forward as he walks. The woman is aged about 25, is about five feet seven or eight tall, with dark hair and a pale complexion, wearing a dark brown costume and a black hat, and carrying a small brown hand bag. They arrived at Leighton Buzzard by train this afternoon, and both appeared very respectable. . The baby has been taken to the Leighton Buzzard Workhouse and is doing well. Friday 10th November: Colonel Joseph Sunderland of Ravensden Grange, Justice of the Peace, has been convicted for shooting a regimental mascot during troop exercises at Howbury. The troops were manoeuvring in Colonel Sunderland’s field, accompanied by a small terrier who acted as the battalion’s mascot. 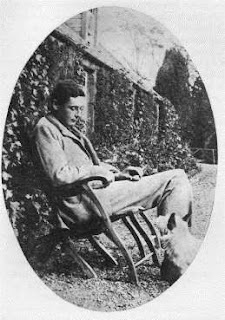 Colonel Sunderland accused Private Horne, who belonged to the Field Transport of the Herefords, of letting the dog chase his rabbits in a nearby field. Private Horne explained that the dog was a pet of the battalion and had not been near his rabbits. Witnesses, including the regiment’s cook, testified that Colonel Sunderland was in a rage and took things into his own hands. When Private Horne refused to put the dog (which he was holding) down on the ground, Colonel Sunderland stamped on Horne's foot and shoved him with a loaded gun, causing a surprised Horne to drop the dog. As soon as the dog was on the ground, Colonel Sunderland shot it and walked away. Whilst the defence made the case that Colonel Sunderland had every right to ‘seize’ the dog, the witnesses pointed out that they would have been prepared to chain the dog up if they had been asked to do so and shooting the dog had been completely unnecessary. The bench at Bedford Divisional Sessions agreed and fined Colonel Sunderland 40 shillings and 12 pence. Colonel Sunderland's erratic behaviour is all the more surprising considering his role as a Justice of the Peace. 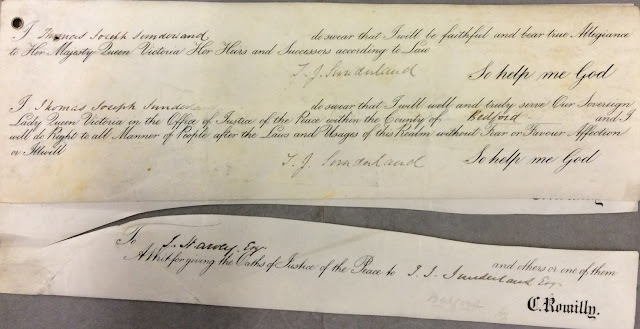 Bedfordshire Archives has his oath of allegiance to serve as Justice of the Peace in our Quarter Session records [below]. Saturday 4th November 1916: The Deputy Mayor of Dunstable has written to the Urban Councils of Leighton Buzzard and Linslade asking them to join him in persuading the North Western and Great Northern Railway Companies to provide a better train service for munitions girls. 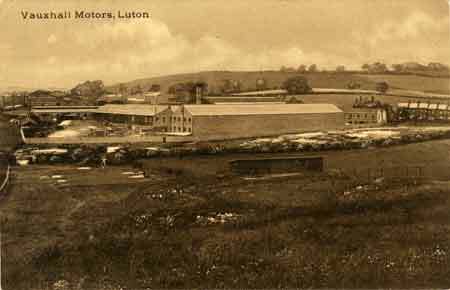 Many travel from Leighton Buzzard to work at the munition factory at Chaul End, but face a difficult morning journey home after working a night shift. 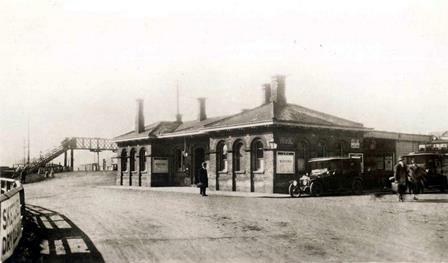 They arrive at Dunstable from Chaul End at 7.30, but have to wait until 8.50 for a train to take them on to Leighton. If the Great Northern Company could provide an earlier train, they would reach Dunstable in time to catch the 7.05 from Leighton Buzzard. It has also been suggested that the North Western Railway Company could help soldiers from Dunstable and Luton who are at Halton Camp by holding back the 12.25 to Luton at Leighton Buzzard for a few minutes. Men on weekend leave reach Leighton at 12.33, just in time to see the 12.25 leaving the station. Instead of getting home in time for dinner, they then have to wait for the 1.55 train, followed by another hour’s wait at Dunstable before finally arriving at Luton at about 4 o’clock. For the sake of five minutes, the men lose a whole afternoon of their short leave. Thursday 2nd November: An interesting meeting under the auspices of the Mission to Seamen Society took place in the YMCA hut at Bedford Park. The principal speaker was the Rev E Ealand, Chaplain at Antwerp. During the war he engaged on mission work amongst the mine sweepers. He reported that over the course of the war, the Admiralty had taken over two thirds of the Mercantile Marine and the country was dependent on the other one third for its food supply. The work of the mine sweepers is very dangerous, preparing safe passage for vessels at sea. Rev Ealand made an appeal for special gloves to be made for pulling wire cables and was rewarded with a number of volunteers at the close of the speech. The Mission to Seaman Society was a Christian organisation that provided practical and welfare support to sea farers around the world. It was founded in 1856 and later became known as the Mission to Seafarers.